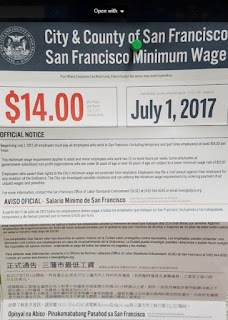 Hourly minimum wage in the People's Republic of San Francisco. 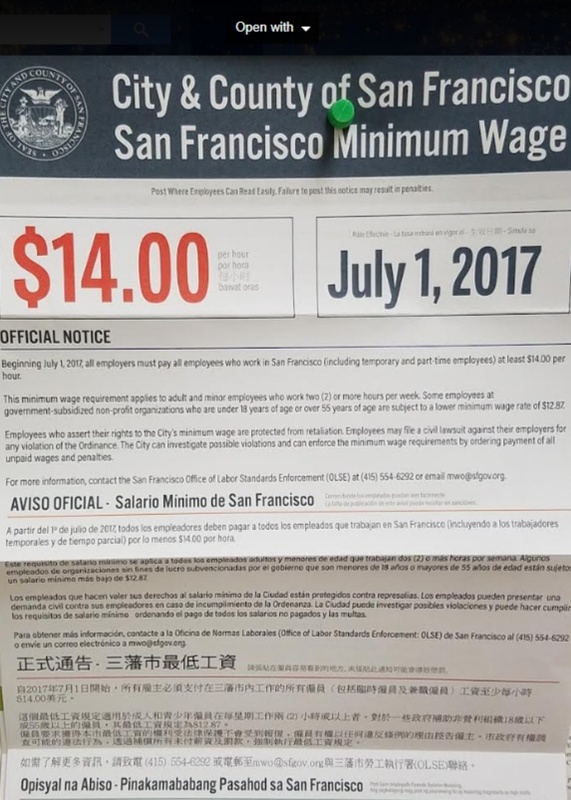 In the oppressive People's Republic of San Francisco, where the enforced legal minimum wage gravitates high above the warm body wage, those blessed by God, the cosmos, or whatever with limited skills find it difficult to survive. Occasionally, these folks attempt the entrepreneurial route. But with little in the way of entrepreneurial vision, it is a very difficult challenge. You see them occasionally selling some kind of homeless newspaper. A girl the other day, was selling individual sticks of incense with a sign indicating sales would go toward food. But, they rarely remain for more than a day or two. The incense girl lasted two days. I like to give these people an entrepreneurial adrenaline rush. Let them know that something they tried was a success in some way. I approach them and ask them how much what they are selling costs. Some will tell you $2.00 others will say "Whatever you want." But the going rate for pretty useless stuff appears to be $2.00. After the price (or lack of a price) is established. I will then ask, "Can I buy more than one?" At this point, the lowly entrepreneur will get a burst of alertness. It is a surprise question that signals good things may come. With a smile, they will say, "Sure." And depending on my mood, I will either say, "Let me have five" or "Let me have ten." After cash is exchanged for the product, I go on my way hoping that in a small way I have confirmed to the individual that something worked for them as a result of their own willingness to think of something and act upon it, a confirmation that probably doesn't happen in their lives very often. I hope it gives them the desire to try other things after one thing worked for them in a very small way. These folks do not display the attitude of the entrepreneur, who is "the agency that prevents the persistence of a state of production unsuitable to fill the most urgent wants of the consumers in the cheapest way." (Pg.333) Single sticks of incense? Homeless newspapers? These are not useful ventures, as I can see it- though it could be that incense girl disappeared as a result of the wild demand for just one incense stick at a time, who knows?! As well meaning as you are, qua economist, in this attempt to foster an entrepreneurial spirit out there in the wilds of the public streets, the act of buying "pretty useless stuff" from these folks is, in actuality, charity. Therefore, this practice cannot relieve "the indignity of giving and receiving alms" (Pg.834), as Mises put it. I think Bob would agree it still is charity, but he is giving both monetary and psychological alms. He closes with "I hope it gives them the desire to try other things after one thing worked for them in a very small way." The chance of them trying to fine-tune prices and products is likely much higher if they've had some small successes along the way rather than none at all. So it's charitable with upside. Actually, very similar example: my son (7) has some entrepreneurial tendencies and has started making things he can sell for $1-2. Totally his idea. Literally every customer so far has been an adult that finds it adorable and wants to encourage him. It's a great opportunity for him to learn about pricing, profit margins, inventory, and demand. He quickly figured out if his good aren't selling well he may need to lower the price, but that he doesn't want to sell below his cost, unless he needs the money for another project or idea. Whether kids or adults, I'd much rather be charitable toward those taking action. 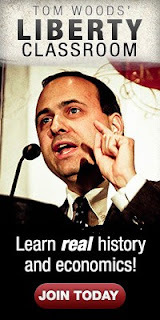 You better reread Mises. It looks to me that there was some poor editing in the section you quote on charity. His comments in the paragraphs above and elsewhere in the book are not in line with what you quote. Could you be more specific, Bob? "The charity system is criticized for two defects. One is the paucity of the means available. However, the more capitalism progresses and increases wealth, the more sufficient become the charity funds. On the one hand, people are more ready to donate in proportion to the improvement in their own well-being. On the other hand, the number of the needy drops concomitantly. Even for those with moderate incomes the opportunity is offered, by saving and insurance policies, to provide for accidents, sickness, old age, the education of their [p. 838] children, and the support of widows and orphans. It is highly probable that the funds of the charitable institutions would be sufficient in the capitalist countries if interventionism were not to sabotage the essential institutions of the market economy. Credit expansion and inflationary increase of the quantity of money frustrate the "common man's" attempts to save and to accumulate reserves for less propitious days. But the other procedures of interventionism are hardly less injurious to the vital interests of the wage earners and salaried employees, the professions, and the owners of small-size business. 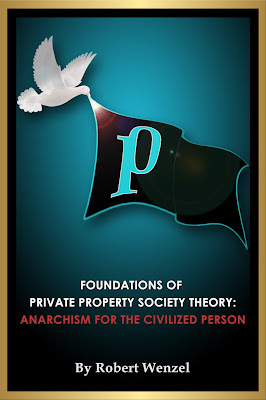 The greater part of those assisted by charitable institutions are needy only because interventionism has made them so. At the same time inflation and the endeavors to lower the rate of interest below the potential market rates virtually expropriate the endowments of hospitals, asylums, orphanages, and similar establishments. As far as the welfare propagandists lament the insufficiency of the funds available for assistance, they lament one of the results of the policies that they themselves are advocating." "The second defect charged to the charity system is that it is charity and compassion only. The indigent has no legal claim to the kindness shown to him. He depends on the mercy of benevolent people, on the feelings of tenderness which his distress arouses. What he receives is a voluntary gift for which he must be grateful. To be an almsman is shameful and humiliating. It is an unbearable condition for a self-respecting man. These complaints are justified. Such shortcomings do indeed inhere in all kinds of charity. It is a system that corrupts both givers and receivers. It makes the former self-righteous and the latter submissive and cringing. However, it is only the mentality of a capitalistic environment that makes people feel the indignity of giving and receiving alms. Outside of the field of the cash nexus and of deals transacted between buyers and sellers in a purely businesslike manner, all interhuman relations are tainted by the same failing. It is precisely the absence of this personal element in market transactions that all those deplore who blame capitalism for hard-heartedness and callousness. In the eyes of such critics cooperation under the do ut des principle dehumanizes all societal bonds. It substitutes contracts for brotherly love and readiness to help one another. These critics indict the legal order of capitalism for its neglect of the "human side." They are inconsistent when they blame the charity system for its reliance upon feelings of mercy." What is the inconsistency you see indicating poor editing? Can you quote the "comments...elsewhere in the book" that indicate Mises' position against his quote that I provided from the Scholars Edition? Or, make a methodological case for your claim that the quote is somehow inaccurate? It's a nice idea, but I see it more of an act of desperation before resorting to selling drugs or engaging in prostitution. It's like how the middle class sees Uber. It's romantic to think that these people would have an epiphany which would allow them to spread their entrepreneurial wings and do great things. It's an inexpensive idea to encourage them, and I hope it works even once ever. 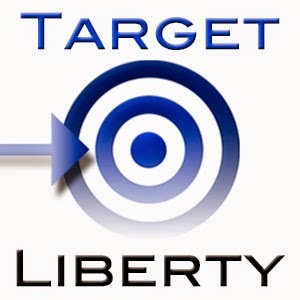 Well I like to think better of Robert's flight of fancy as being a an invitation to those that are willing to take a mental step outside the statist circle and reinforce those that may be willing to keep on stepping. I think Bob is trying to reinforce the mindset of "Perhaps I can better my own lot in life by trying to think of something useful I can do for other people" even if they are struggling with the particulars. I bought some lousy lemonade from so.e kid's stand the other day. Should I have scoffed at the brat, demanded a beer and berated his lack of entrpreneurialism?